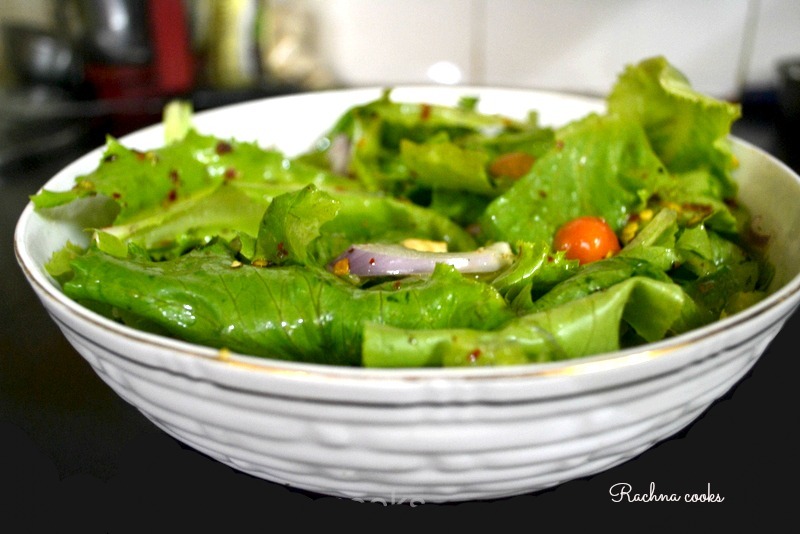 Since my husband is growing some lovely fresh lettuce varieties in our terrace garden, I have been spoiled for choice with crackling fresh lettuce leaves for my salad and sandwiches. 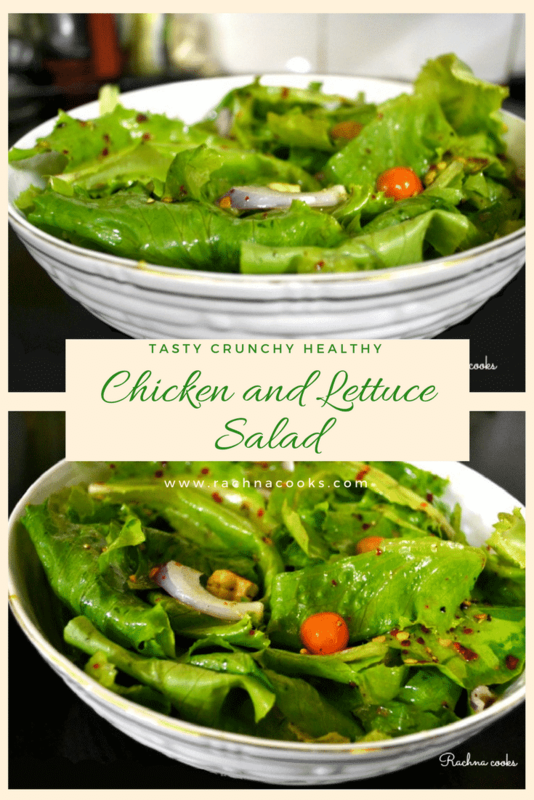 This recipe is a simple Chicken and lettuce salad that is extremely versatile and has a light extra virgin olive oil dressing. You may substitute chicken with cottage cheese or any other meat depending upon your personal preference. I used grilled chicken for this one. It is a great recipe to utilize leftover grilled chicken from your barbecues. Chicken and lettuce salad is a refreshing high protein, low carb summer salad with a light, flavourful dressing. Do try it. Mix all the ingredients of dressing together and chill in the fridge. Wash and dry all the veggies and keep them chilled. You can chop the lettuce but I prefer to leave the leaves largely whole. Keep your roast chicken shredded. To serve, add the dressing to the veggies and chicken and toss well. Taste and adjust seasoning. Once mixed, you can't store the salad for long as it starts losing its crunch and getting watery. You can add more veggies like bell peppers, corn etc. as per your liking. This is a good way to utilize leftover grilled chicken. You can pair this with some toasted bread for a hearty meal. 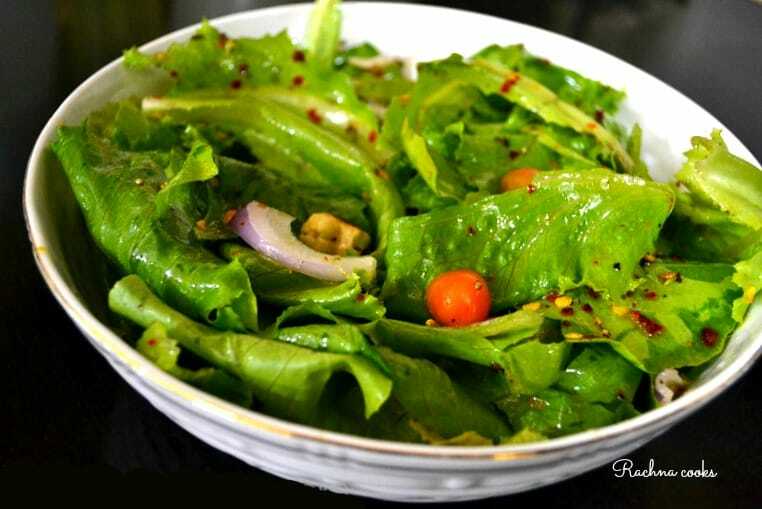 Do make this simple yet delicious salad this summer and enjoy guilt free with your family. If you like the recipe, do share it. I have got to try this. Seems like a very healthy and tasty option. It is really very easy if you have the ingredients and you can always mix and match but I guess having lettuce would be necessary. Hope you enjoy it.